The California real estate market is sizzling and continues to sizzle… As we all see with the influx of tech companies in the area, low inventory is prevalent and prices continue to increase. Prices are increasing, which makes it challenging for first-time home buyers. 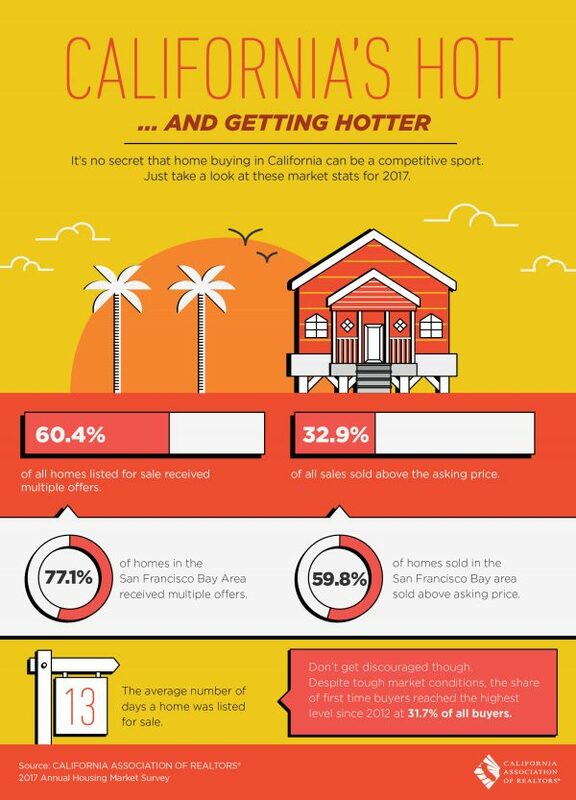 Buying a home in California real estate market is like a competitive sport as shown in the market stats in 2017. With 60.4% of all homes listed in California for sale received multiple offers and 32.9% of all sales sold above the asking price. In San Francisco Bay area, 77.1% of homes listed receive multiple offers and 59.8% of sold homes are sold above asking price. 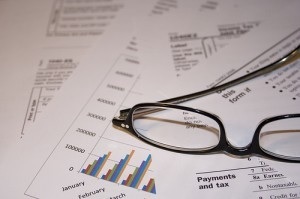 Buyers are paying more for property they are buying. It’s a bidding war. The highest bidders win as they offer more on asking price. Don’t be discouraged though as the share of first buyers are the highest level since 2012 with 31.7% of all buyers being first time home buyers. But the important thing is to not go it alone. Contact the agents at Broadpoint Properties to help you buy or sell your next property. We can help sellers throughout San Diego North County and beyond to avoid foreclosure and walk away from their home without having to pay a penny, and without having their credit ruined by foreclosure or bankruptcy. Some of the communities we serve are Encinitas, San Marcos, Carlsbad, Oceanside, Escondido, Rancho Bernardo, Poway, Vista, Valley Center, Fallbrook, and surrounding areas.